Lately everyday is Halloween at my house thanks to my parents. You should have seen their faces when they opened up these Christmas presents. I'm beginning to think that my boys were born wanting to be superheros. 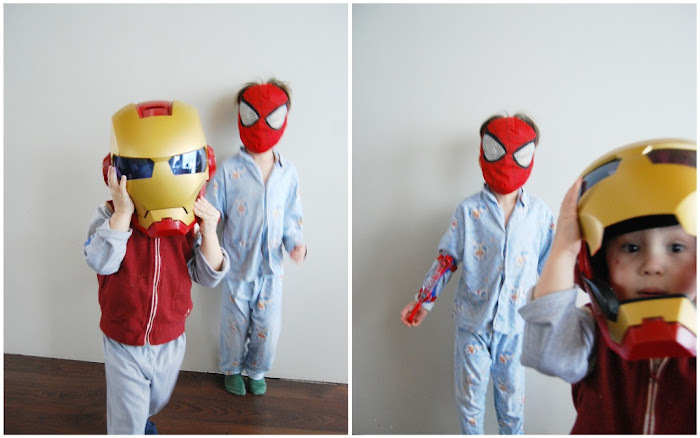 Cracks me up every time they parade around the house with this huge Iron Man mask compared to their tiny bodies. They look like bobble heads. Holidays were officially over on Monday with Darcy going back to teach. So back to routine and back to lots of sewing. If I don't update my blog for a while it's because of the big pile of fabric on my sewing table below. 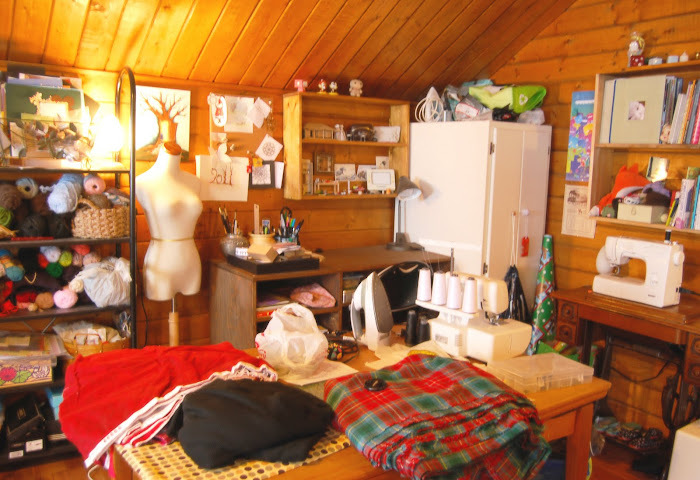 I love your crafting/sewing room!! It looks so warm, cozy and inviting! Happy 2011 Momo! Hope you enjoyed the holidays. The boys are adorable and growing so fast! I love your studio. Definitely a place I'd love to be in for days on end. So cozy! I love your crafting room, soo cosy with the wood on the walls and all the nice fabric waiting to be made into things...envious, who me?